Thank you for your interest. Please feel free to email me at alyssa.carlier[at]gmail[dot]com, even if it's just to say hi! Interested in sending me a review copy or sponsoring one of my bimonthly giveaways? 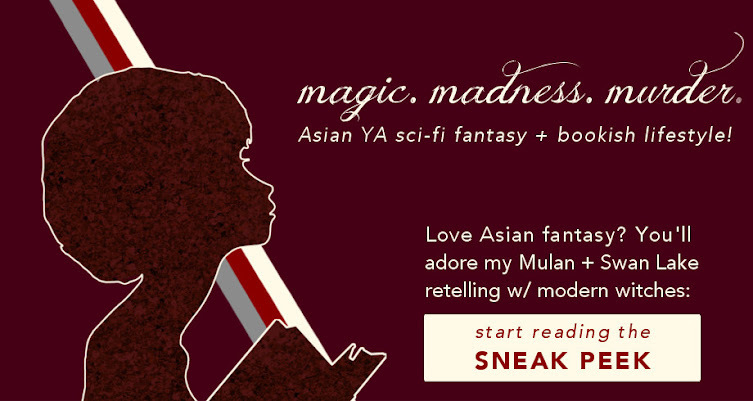 This blog focuses on promoting Asian YA SFF, but I'm open to YA fantasy and science fiction in general. This blog receives approximately 10K monthly pageviews. My highly-engaged email lists reached 1000 subscribers as of September 2018 and is growing rapidly, doubling last year in 2017. I now bimonthly giveaways for Asian SFF books, which can gain over 25K impressions on Twitter and reach a potential audience of over 40K on Instagram Stories. For rights inquiries, please contact my literary agent, Kiana Nguyen at Donald Maass Literary Agency. Sign up for my newsletter of writing updates here.